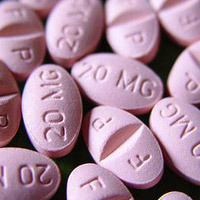 According to an FDA podcast released yesterday, the citalopram drug label has been revised to include the new drug dosage and usage recommendations, as well as information about the potential for QT interval prolongation and Torsade de Pointes. From a clinical drug monitoring perspective, many clinical pharmacy programs utilize a combination of formulary control, medical staff education, prospective and retrospective drug utilization evaluation monitoring and real-time interventions in order to maintain safe use of drugs. The best practice recommendation for hospitals then is to first ensure all prescribers and clinicians are aware of the new prescribing limitation. Using real-time email/text/fax broadcast is the most efficient means to assure this. Hospitals that do not have a standardized, well understood infrastructure for communicating information that impacts prescribing might be well served by taking this opportunity to develop such a process.